We work with packaging machines for plastic wrapping, shrink wrapping, bagging and also wrapping products in trays or in boxes. 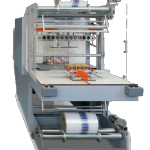 Tray machines or carton erectors may also be offered, also combined with wrapping. We supply packaging machines for small needs in the form of manual or semi-automatic machines all the way up to fully-automatic machines with or without handling equipment and automatic feed. Hugo Beck develops and manufactures ”top-of-the-line” machinery equipment and components for packaging with plastic film, as well as, handling and packaging of printed matter. Customers include manufacturers of: groceries, pharma products, medical technology, printed materials and industrial components. 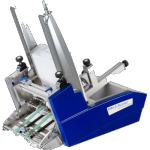 Machines offered are horizontal form-fill-seal machines, and sleeve wrapping machines for wrapping and shrink wrapping. Machine models are available from the very compact flexo-X with packaging speeds up to 6000 products / hour. The new machine family with neo-X, at the top handle up to 18,000 products / hour. HUGO BECK is located in Dettingen, Germany near Stuttgart and has representatives around the world. Clients include: Liljeholmens candles, Santa Maria Tacos, Bingo Scratch, Wasa crispbread, etc. Packaging A has extensive experience in final packaging of products in both film and cardboard. The goal is to make customized solutions based on standard machines. This goes for wrapping, shrink wrapping and stretch wrapping and also packing in cardboard or cardboard in combination with shrink wrapping. Customers are often manufactures of such items such as lamps, beds, doors, etc. as well as tissue paper. TISSUE we can supply complete systems including grouping and stacking. Larger side welding machines for PE film at very affordable cost is offered with the A.SIDESEALING. TOSS manufactures packaging systems for bagging and components for packaging machines such as welding rods, welding jaws and compact devices for pneumatics and forming shoulders. 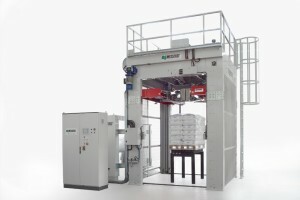 Bag packaging machines are available with automatic attachment of riders that can also be unsymmetrical. KÖRA+PACKMAT has special feeders for feeding or counting of products. The feeders may be arranged after each other to form larger sorting lines. What is new is their development of machines with ultrasonic welding for precise and fast welds. They have also developed machines for packaging of stationery, greeting cards, ISO Cards, CD and DVD. The machines are modular and can be easily customized or extended. 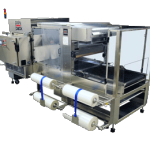 It allows one to deliver automatic machines to count, collect, label, tag and packing in plastic. Polypack manufactures machines in stainless steel for high quality requirements. All items are in metrics. Special focus are in machines for dairies, breweries and consumer products. Machines are available from low speeds up to very high speed, for example for breweries. Messersi has a wide range of securing products on pallets. 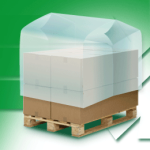 It includes strappning of goods on pallets or to secure with stretch, shrink or stretch film. They have everything from small manual machines to automatic wrapping and strappning integrated with production lines. The strappning are so complete that they even have their own manufacturing factory for strapper materials. e-shrink manufacture machines to fit shrink wrappin of small to medium volumes. 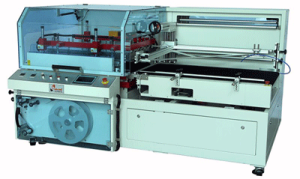 The machines are available from small semi-automatic to fully automatic L-bar sealers. A vertical L-bar sealer for higher products are also available. The machines are stocked and distributed from Germany after tests and are manufactured in China. These are machines with high value, i.e. high performance/cost ratio. 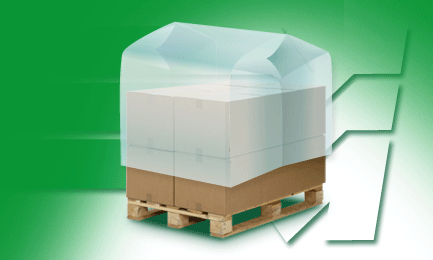 We supply shrink film for various applications for products that are irregular, with sharp edges, soft or heavy. The film is manufactured in several grades and thicknesses to fit these different applications. The film may be extra strong, standard or soft-shrinking to suit every type of application. The film is made in 3 or 5-layer and is represented in Europe, Middle East, USA and South America. After an agreed delivery schedule for specific quality, dimension and thickness is made, there is always the specific film available for fast delivery from our warehouse. The film meets all requirements for groceries and so also the manufacturing process according to BRC and ISO9002. CYPACK: packaging machinery manufacturer, specialized in the design and production of adhesive tapes application machines.